With our Ireland Money Transfer Guide bellow, you can rest assured that you will save money when sending money abroad. It doesn’t really matter if you want to send money to Ireland or you are a local that needs to transfer money from Ireland, our recommended Foreign Exchange companies will help you with this service at a fraction of what High Street bank usually charge. €6.35 Fee + 7% Spread On Currency Exchange. Other Fees May Apply. Bad Currency Exchange Rate. World First is one of the companies with the best feedback from previous clients with an astonishing 98% positive feedback on Feefo.com. And they take international clients from countries like USA, Canada, Australia, New Zealand, Nigeria, Germany and many more. For more information and to get a free quote, we recommend visiting their website. MoneyCorp has a big advantage in Ireland because they have a local office in Dublin and also has a specific version of the site which targets this country. So any kind of country-related questions can be answered from a local team, with a local office. For more info and to get a quote, be sure to check their website. Because Ireland is part of the EU, you can send money to and from any region in the country. Our recommended companies are in concordance with all the European countries laws and regulations, especially the Anti Money Laundering laws. Currencies: World First works with almost 130 currencies so you can rest assure that any location on this planet will be available for transfers. Countries like South Africa, Japan, Portugal, Bangladesh, Finland or Brazil, are destinations easily available for this company. You can read the full list of currencies and many more details about it in our in-depth World First Review. The Euro, nicknamed “The single currency“, is the most used currency in Europe as it is the national currency in 19 countries, Ireland included. It is also the second most traded currency in the world (after the US dollar) and the second largest reserve currency. Real Estate: One of the main reasons that Brits are investing in the Emerald Isle is because their money can buy so much more there. The recent fall of the Euro has made the Pound much more valuable. Even if 2014 has recorded a good growth for the real estate market in Ireland, the prices are still 38% below the peak it reached in 2007.
Business: Ireland is one of the few countries where exports (€89 billion in 2014) surpass the imports (€53 billion in 2014) and that is a sign of a good working economy. They benefited from the fall in oil prices to connect and send products to countries like the USA, Belgium, Germany or Switzerland. Annual Leave: You are entitled to 20 days holiday whether you work full time or part-time. Viable Public Healthcare System: The public healthcare system is funded by taxes and is available to all. Affordable Public Transportation: Ireland posts a 15% more affordable transportation system than most EU countries. Lack of Police Presence: Police tend to patrol where they desire and do not touch the areas that actually need their presence the most. Cost of Living is Extremely High: Ireland is 40% higher overall in the cost of living than other EU countries. High Unemployment Rate: Since the financial crisis, the employment rate has been 9.7%, which is quite difficult to come back from. Popular cities for business and real estate transactions in Ireland are: Dublin, Cork, Dun Laoghaire, Limerick, Galway, Tallaght, Waterford, Swords, Drogheda and Dundalk. Foreign Exchange brokers are as safe as a bank, as fast as a remittance company, but a lot cheaper than anyone and reveal all the fees that you will pay prior to making the transfer rather than after. But some transfers will get another huge benefit – no fee at all! The companies we work with will provide a zero fee on transfers over a certain amount, usually for international transfers of more than 1,000 Euros. This is possible because these companies are making their profit from the currency exchange so the bigger the amount, the more benefits they can provide you with. Register a free account with the company of your choice. Receive a quote from the company’s dealer. Fund your account after you approve the received quote. Wait a day or two to receive the confirmation from your dealer that the transaction is completed. 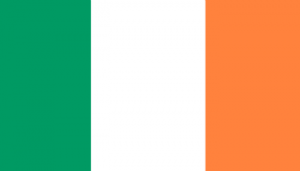 Ireland has no regulations or currency controls, as a member of the single currency Eurozone. Transferring money in and out of Ireland is not restricted for non-residents and residents alike. Ireland was hit particularly hard by the 2008 Eurozone crisis, but its openness to Foreign Direct Investment (FDI) has played a substantial part in returning it to a strong economic footing. The Central Bank of Ireland provides oversight to payment systems and licences all financial services providers. Any amount of any currency can be brought in and out of Ireland with no regulations or even formalities. Irish residents are taxed on any foreign income. Non-residents are taxed on any income originating in Ireland. Double tax treaties are in place to avoid double-taxation.